Mulleady’s Waste in County Longford took possession of a brand-new Range D skip loader from Renault Ireland on the Long Mile Road last year (January 2016). We caught up with director Niall Mulleady at company HQ in Drumlish and found out that the new acquisition is part of a major fleet renewal programme. Having kept their powder dry for a number of years, Mulleady’s Waste have started to invest in adding new models to their fleet again. At the start of 2016, they collected a new Range D 18 280hp skip loader featuring VBG coupling to pull a double-axle Chieftain trailer. Niall Mulleady says there have been more additions already this year as they continue with the policy of refreshing their 50-strong fleet. Traditionally, Mulleadys have been running a lot of DAF units, as well as some Mercedes-Benz, but they are now opting for new Renaults. “We have an agent here close by, Jimmy Kelly, who gives us an outstanding back-up service,” Niall explains. Waste wasn’t Mulleady’s original area of expertise but it has developed into their core business over the past two decades and more, with exceptional domestic and commercial wheelie bin collection services provided to customers across counties Longford and Westmeath (as well as parts of Leitrim, Meath and Cavan) in addition to a wide range of skips for households and businesses, ranging from 4 cubic yards to 12 cubic yards. Mulleady’s also operate civic amenity sites in Drumlish, Longford town and Mullingar, where members of the public can drop off recyclable goods. Roll-on skips are also provided as well as water consultancy and tanker services (removing septic tank waste, waste water treatment sludge etc). At present, Mulleady’s Waste provides gainful employment to a team of 75. Within the Mulleady Group as a whole, some 120 people are employed. “We’re experiencing a small bit of growth at the moment but this isn’t why we’ve decided to invest in new lorries,” Niall continues. The roots of the Mulleady Group go back almost half a century. “The first company in the group started 45 years ago. We started as Mulleady Construction and then started Longford Precast & Prestressed Concrete Products Ltd. before expanding into waste 23 years ago,” Niall reveals. 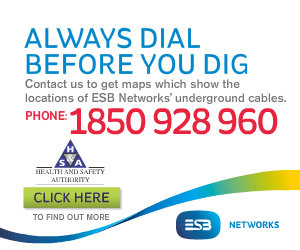 The family business was established by Anthony Mulleady and his late brother Frankie. Both men’s families are now involved in the day-to-day running of the group, which boasts its own commercial vehicle workshop on-site in Drumlish. 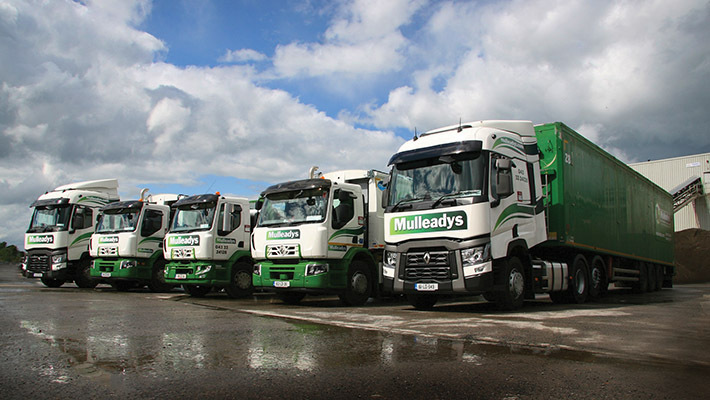 Mulleady Commercials look after all their own vehicles as well as carrying out third-party work on behalf of local operators.